Dr. Peter A. Levine discovered 35 years ago that wild animals recover from trauma by tremoring spasms of their body core and flailing of limbs, to complete the fight-flight they were in before they froze. Levine shows a National Geographic video of a polar bear chased by biologists (just to tag him) and then shot with a tranquilizer dart. As the bear wakes from freeze, its body trembles intensely, its legs thrash, and it makes biting motions over its shoulder—replicating and completing all the fight-flight actions it was making during the chase. Finally, it undergoes deep gasping. This discharges ton of stress chemicals which otherwise get frozen in the body. Our human thinking brain usually refuses to do this trauma reset, aka "discharge." We're too fearful of the fierce shaking and the scary flood of our own natural aggression we might have to feel--without acting it out. Acting out is a no-no, of course, but we don't know how to feel strong emotions without acting out, so we don't want to feel. The fearful mind gets in the way of the body wisdom. That’s why humans have trauma and wild animals usually don’t: old fight-flight stress chemicals stay frozen in our bodies. Wild animals only do experience trauma non-released when they have been in long contact with humans... Levine created “Somatic Experiencing” bodywork to let us experience the reset motions we need, especially decades after trauma. 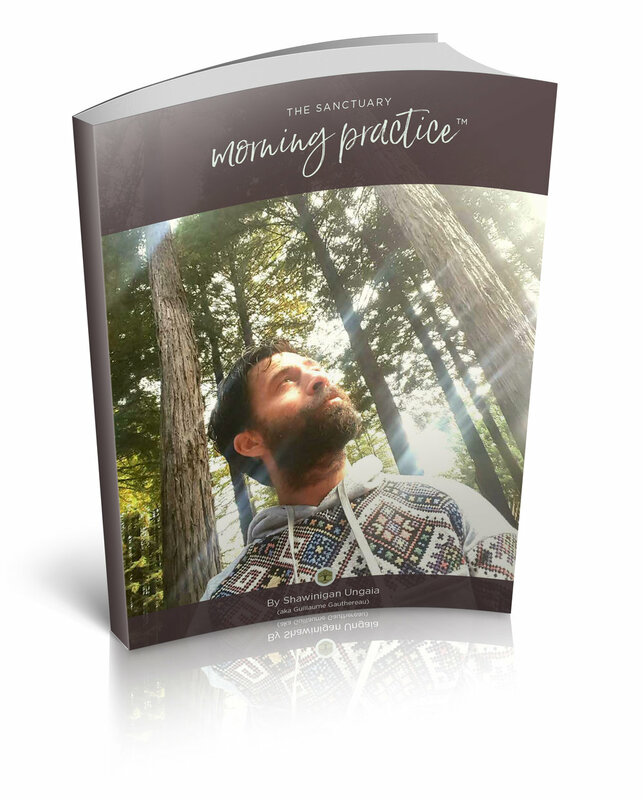 As part of this process, it is essential to hold a compassionate loving space towards yourself and towards the person releasing if you are a practitioner. It is the empathetic witness. To do this we need to open our hearts with love towards the trauma. Knowing the body will know what to do on its own. In my practice of trauma work the past 5 years, it has been a skill I keep developing mainly by working towards holding that space for myself, my own trauma. It is also why I always combine Breathwork with shamanic healing and trauma release. Your body knows all of this. Silence your mind so you can let the body speaks and heals itself.